Calling all gym junkies and sports athletes.. 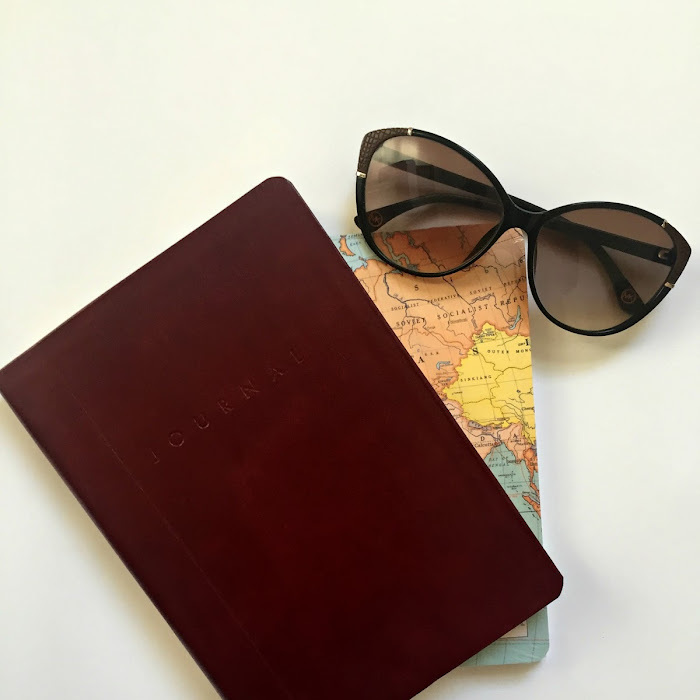 If you're protein mad and in need of a sweet recovery kick, these bars are for you! 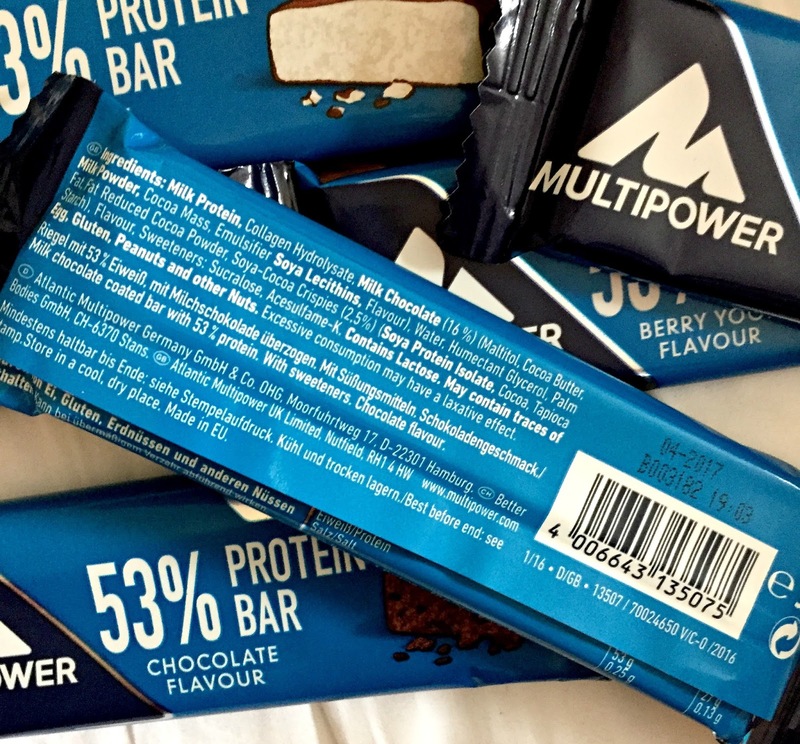 These 4 extremely yummy new flavours belong to multipowers 53% protein bars. 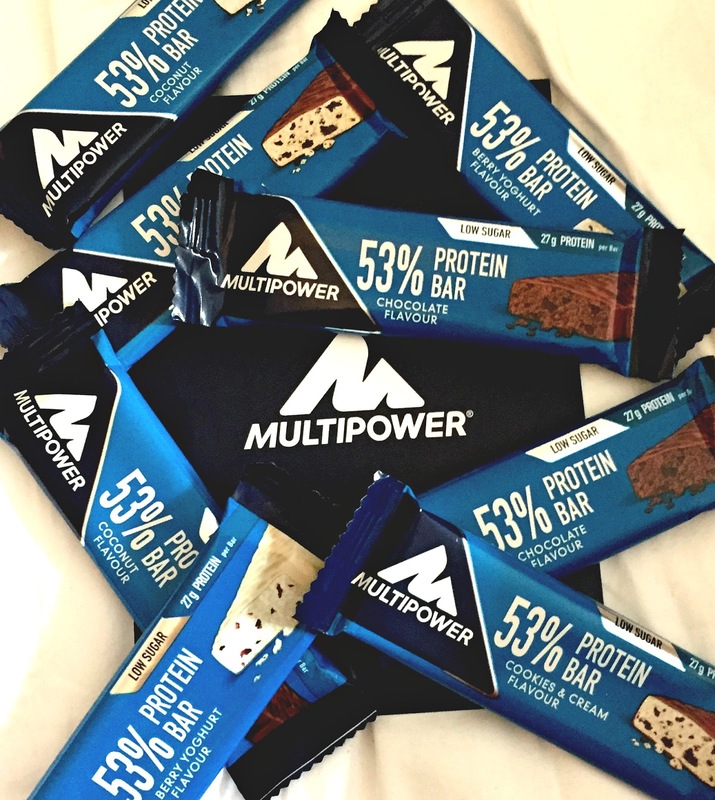 I was lucky enough to be sent these four fabulous flavours of multipowers new protein bars and quite frankly they're just great. Once you get past the general, but not unpleasant, sticky protein bar chewiness, the flavours instantly hit your tastebuds like an explosion of yumminess. My personal favourite was the cookies and cream but generally as a whole, all of the flavours are great. 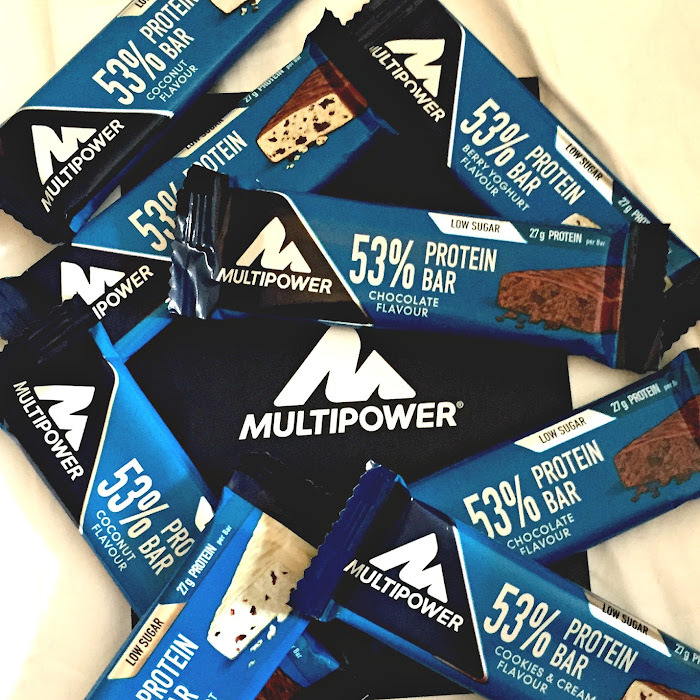 The team at multi power are wonderful so as expected everything from our first contact to actually eating the product was fantastic. 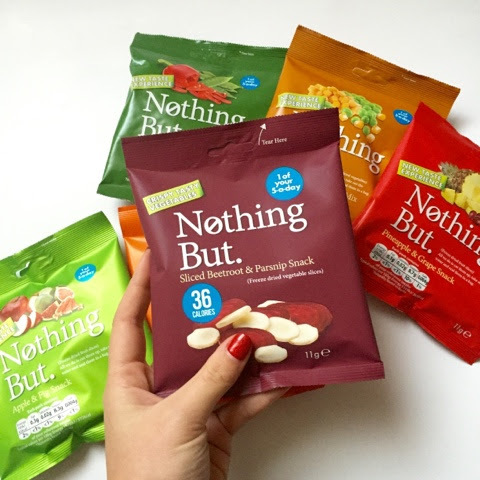 I would wholeheartedly recommend these to anyone after a good protein kick pre or post training, especially if you like the aforementioned flavours. I had half a bar straight after my workout and saved the other half for my post-training feed as a nice dessert finisher. *I have uploaded a photo of the nutritional info just to verify what exactly you'll be getting.. if you were wondering.. I guarantee you'll love them!